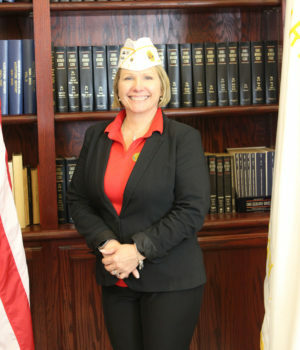 In January 2013, Suzette came to work for The American Legion Department of Ohio as the Service Director currently overseeing the claims operations for the entire state of Ohio. She brings a lot of American Legion experience with a background in Veterans Affairs & Rehabilitation, Field Office Oversight, Programs, and Legislative advocacy. Suzette began her career in advocacy as a student veteran with Student Veterans of America (SVA) assisting in grassroots organizing and mobilizing veterans. She resides in Westerville, Ohio with her husband Scott and their two golden labs. Suzette is PROUD to serve OHIO LEGIONNAIRES and VETERANS!